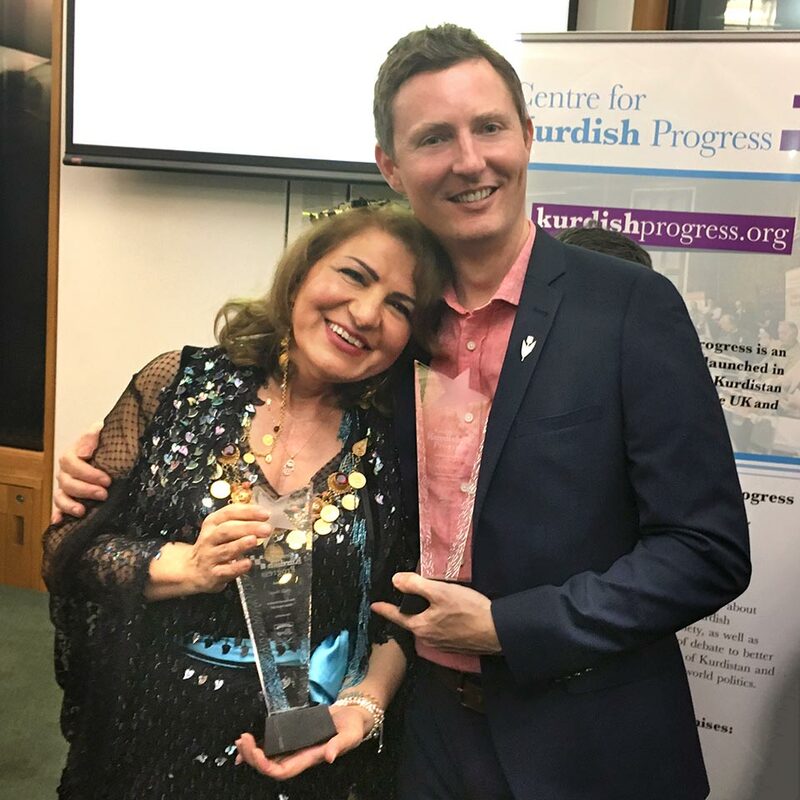 The Centre for Kurdish Progress hosted its annual Newroz (Kurdish New Year) reception at the Houses of Parliament on the 15th March. 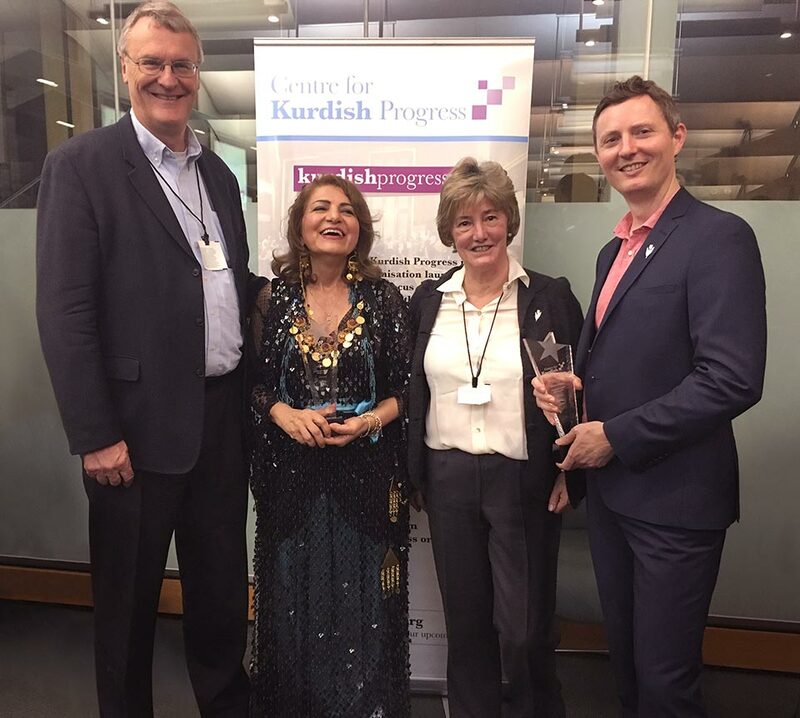 The event was hosted by the Shadow Home Secretary the Rt Hon Diane Abbott MP and the Scottish National Party MP Angus Brendan MacNeil. 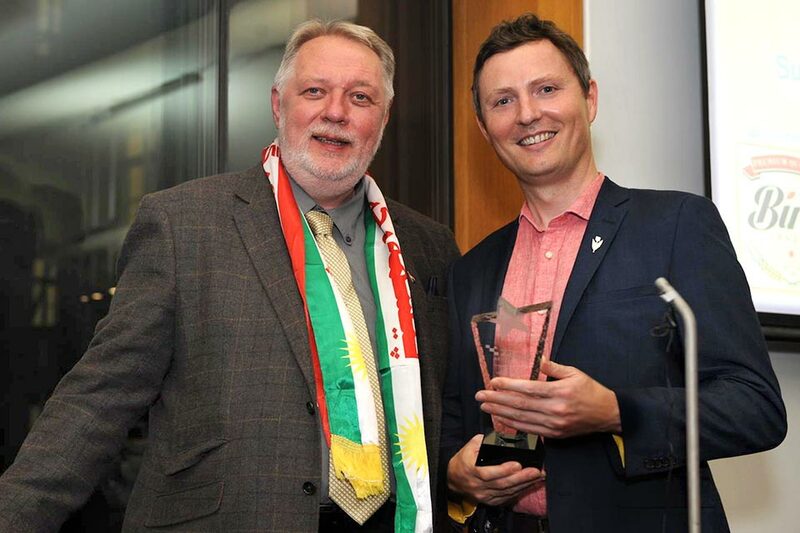 Gulan’s Creative Director Richard Wilding was presented with an award for ‘Extraordinary Contribution to Kurdistan‘ by Gary Kent from the All-Party Parliamentary Group on Kurdistan. 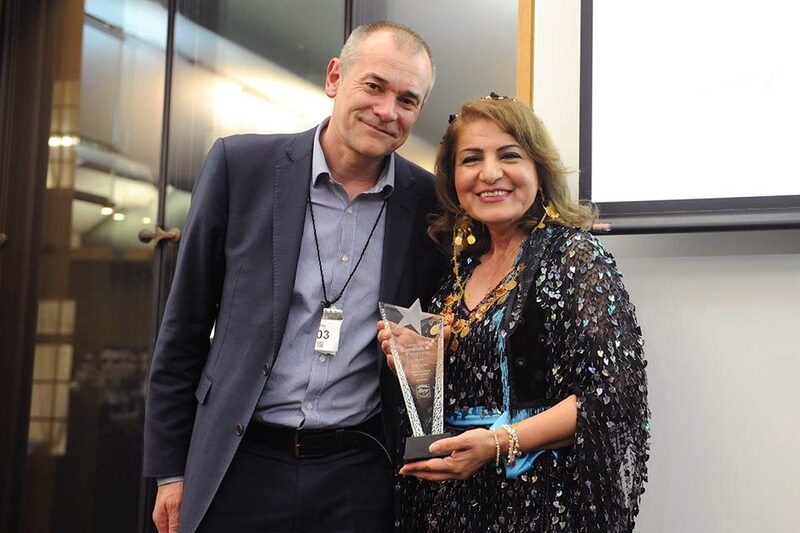 Gulan’s Artistic Director Della Murad was presented with the award for ‘Best Female Artist‘ in the ‘Most Successful Kurds in Britain‘ awards, which recognise the contributions made by Kurds to the UK and Kurdistan. Approximately 200 people were in attendance, including prominent British politicians such as the Leader of Labour Party the Rt Hon Jeremy Corbyn MP, Labour MPs David Lammy, Dawn Butler, Rob Marris and Mary Glindon, Conservative MPs Andrea Jenkyns and Jack Lopresti, Scottish National Party MPs Chris Stephenson and Tommy Sheppard, the Independent MP Natalie McGarry, and Labour Peers Lord Michael Cashmen, Baroness Jan Royall, Lord Pendry, Baroness Whitaker and Lord Dave Watts. Falah Mustafa Bakir, Head of the Department of Foreign Relations of the Kurdistan Regional Government (KRG) was also in attendance, as was Karwan Jamal Tahir, the KRG High Representative to the UK.